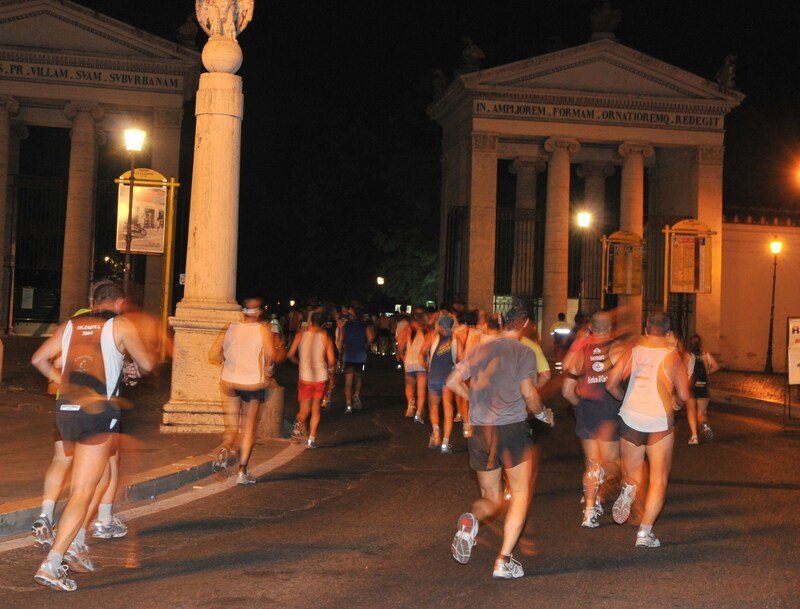 There is an unusual, evocative, romantic way to enjoy the breathtaking beauties of the “eternal city” : running through its most famous streets at night. 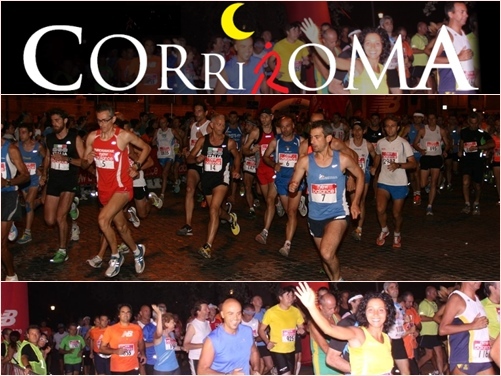 Yes, at night , because “Corriroma“, the competition that somehow seals the end of the running season here, usually takes place at 10.00 p.m. 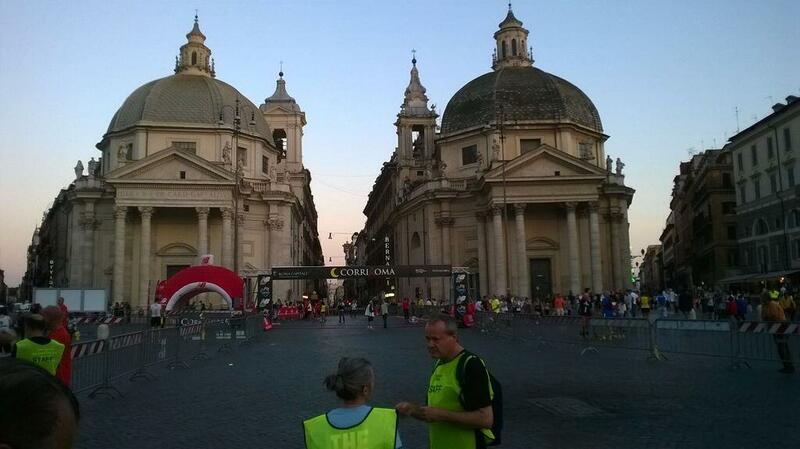 The ten kilometer race starts at Piazza del Popolo, then the athletes pass on Via del Corso, Via del Tritone, Via Sistina, Piazza Trinità dei Monti till they go through the splendid Villa Borghese, lit by hundreds of torches,to reach Piazza Augusto Imperatore and again via del Corso and back to Piazza del Popolo. Amazing, isn’t it? Mr Run and I couldn’t certainly miss such a happening as it was also an occasion to have a walk and go shopping in the centre. 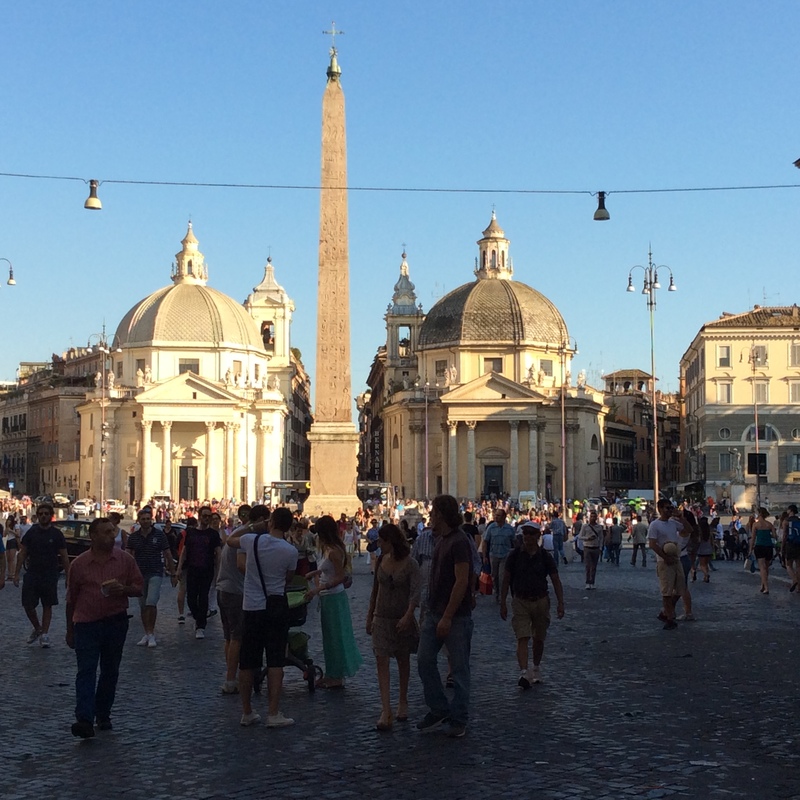 When we arrived at Piazza del Popolo, it was crowded as usual and peopled mostly by tourists and tourist attractions. 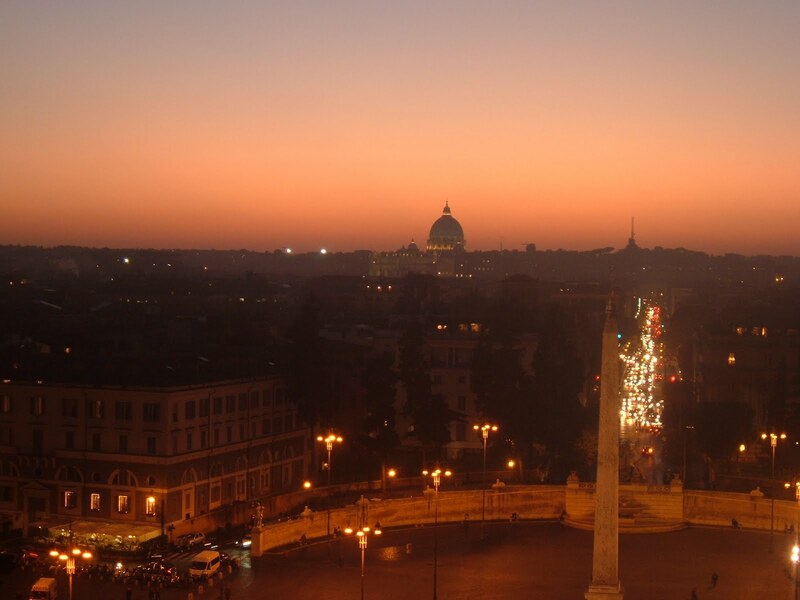 But at dusk the magic started. 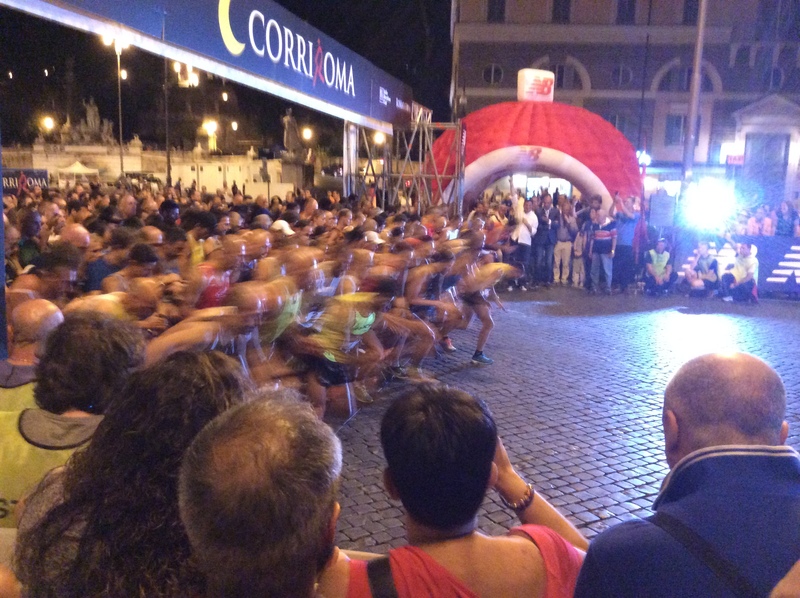 The tourists were slowly replaced by thousands of colorful runners who started their warming-up running around the square in a never-ending joyous carousel. Some of them even staged a Maori dance, traditional war cry included. 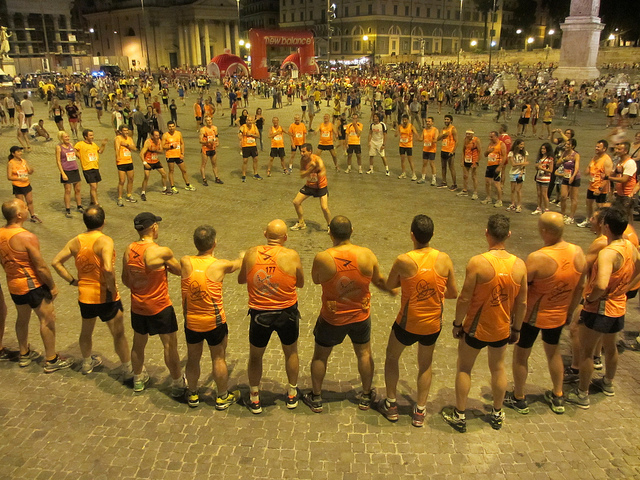 Lights, happy faces, the atmosphere was merry and warm and at 10:00 about 3 thousand runners gathered at the start line. 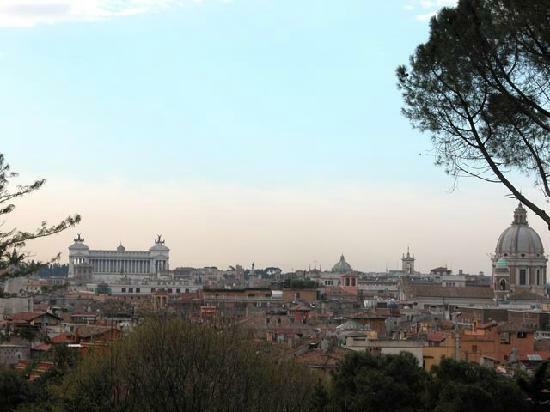 In less than half an hour the fastest had reached Villa Borghese. 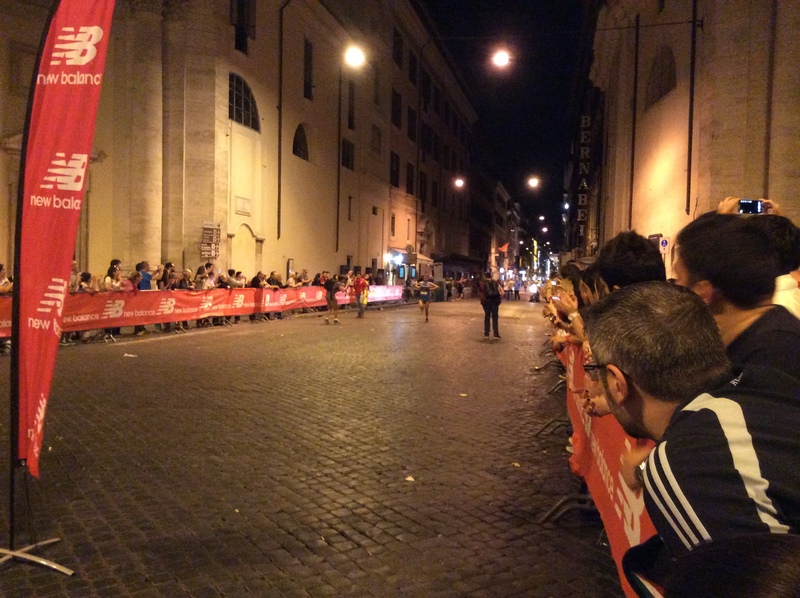 Here is the winner Jaouad Zain from Morocco (31:35). Many others were still far from the finish line but they were enjoying the beautiful race. And when everything was over, the magic disappeared. 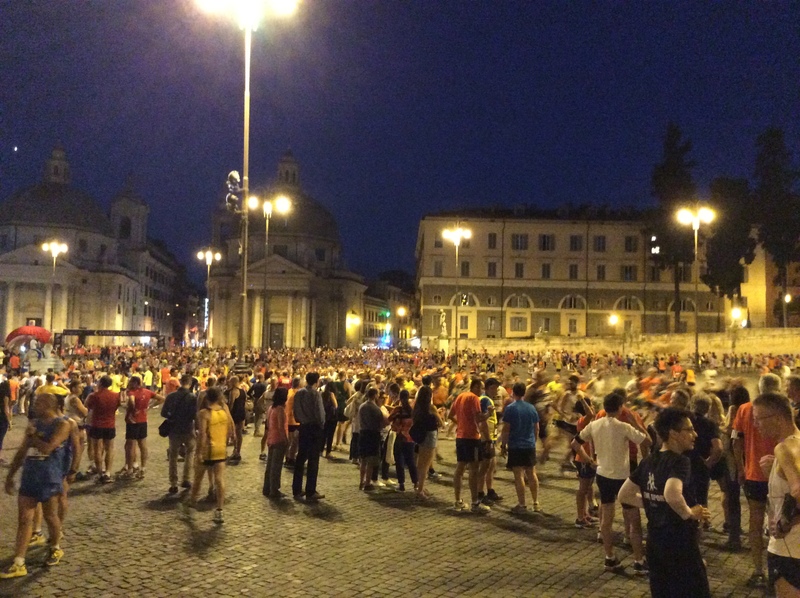 The lights went off and little by little the sweated and tired athletes left the square with their supportive friends and families, maybe in search of something to drink or a place where to get some warm croissants and reach the Pincio Terrace to wait for the dawn.